Take time to prayerfully consider how you can join in with God’s work in the world. God is calling us to help meet the physical, spiritual, emotional and psychological needs of others. Take a look at the charities featured here.Work out if any of them are projects you feel led to invest your time, energy, skills, or resources in. This is just a staring place and there are countless ways we can work together to make a positive difference in the world. While we have partnered with several of the organisations featured on this page they are external to Sanctuary First and therefore we cannot vouch for everything they say and do. Make sure to do your own research and make your own mind up about what projects to support and get involved in. ​Vine Trust is an international interdenominational volunteering charity which seeks to enable volunteers to make a real and significant difference to some of the poorest children and communities in the world. We welcome people from all backgrounds who share our ethos of caring and our belief that whilst we can’t help everyone we can all help someone. Healthcare, children and education have been key priorities as we build the capacity of our local partners to meet local needs. Currently our Amazon Hope Medical Programme provides a healthcare service for over 100,000 patients annually in Peru through our two medical ships, with further expansion planned for 2012. Alongside this, we plan to replicate our Amazon Hope healthcare model on Lake Victoria, Tanzania by 2013, with the aim of establishing a healthcare service for isolated communities in this area and reaching a further 100,000 people who are in need of access to basic healthcare services. 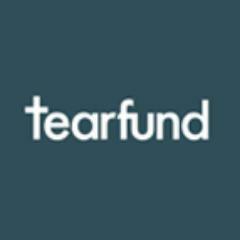 ​Tearfund’s call is to go to the places of greatest need. We do whatever it takes to end poverty and rebuild poor communities God’s way. We work through local churches because they are Jesus’ body on earth, well placed in poor communities to empower people to change their own lives. We help and encourage churches to be active - installing wells, funding social entrepreneurs, setting up clinics, training midwives, bringing spiritual as well as physical change. And much more. We challenge, and change, policies that lock poor people in poverty. And when poor communities are struck by disasters and need urgent help, we respond quickly. We do whatever’s needed, in Jesus’ name, to release people trapped in poverty. 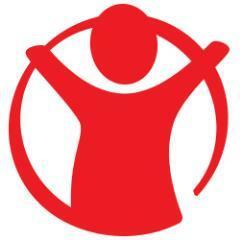 ​Save the Children works in 120 countries. We save children’s lives. We fight for their rights. We help them fulfil their potential. When disaster strikes, we do whatever it takes to save children’s lives. We run world-class programmes and challenge world leaders to give children a brighter future. From Afghanistan to Zimbabwe, we work in more than 120 countries to transform children’s lives. ​We are ordinary people from across the world standing up for humanity and human rights. Our purpose is to protect individuals wherever justice, fairness, freedom and truth are denied. Historically our campaigning has focused on prisoners, but we have responded to the changing patterns of human rights violations in the world. Today people are more likely to become victims of abuse because of who they are, rather than for what they think, say or do—the biggest threat to human rights are the mass violations committed during armed conflicts.